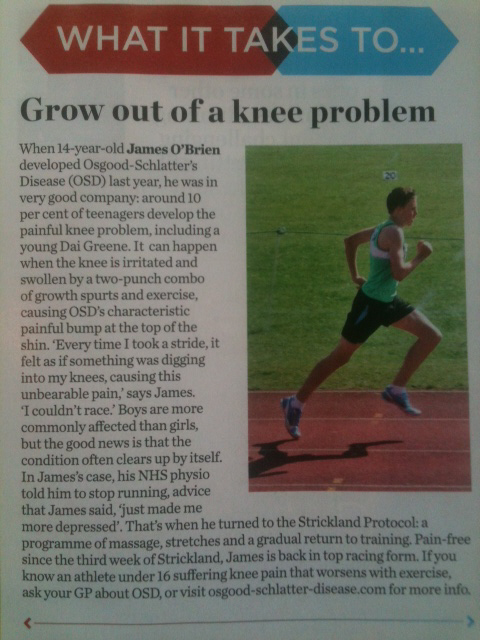 Young athlete James O’Brien aged 14 starred in the story. James suffered unbearable pain with Osgood Schlatters Disease, but was cured during the third week of treatment using The Strickland Protocol. James is now back on top form and we wish him every success for the future.